If you decide you’re interested in working with a mortgage broker in Utah County, you should interview several brokers and check their credentials and references. At the same time, you should consult one or more Utah County lenders to see if you find someone who will provide you with the financial education. It’s important you find someone you can trust, whether that person is a mortgage broker, banker or direct lender. Utah County has many excellent mortgage brokers. 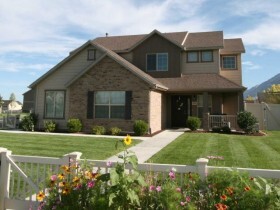 If you need help finding a good mortgage broker in Utah County contact Team Teasdale Realty.